Thank you so much for choosing NOVA Birth Partners to support you in your journey! We are excited to work with you. As a thank you, we are offering you one year of Bronze-level access to Motherboard ($50 value). If you are a partner client, we are passing our discounted savings on to you as listed in the registration form. Motherboard provides interactive software and amazing birth content to help you research, select, and share your birth preferences with me, your care team, and anyone else you'd like to invite. Once verified within 24 hours, we will send you your client voucher. Your voucher is worth $50, the cost of a year of Bronze-level access. You can upgrade to Silver or Gold. To take advantage of Motherboard's private Prenatal Community and online consults, you'd just pay the difference. Note: The voucher gives you one year of access. Switch off "Renew Automatically" to avoid being charged in a year. Start building your Motherboard! You can build either a vaginal or cesarean birth Board, and make sure to invite us to your Team! Once you start building a Board, the Team section is on the right (see below). 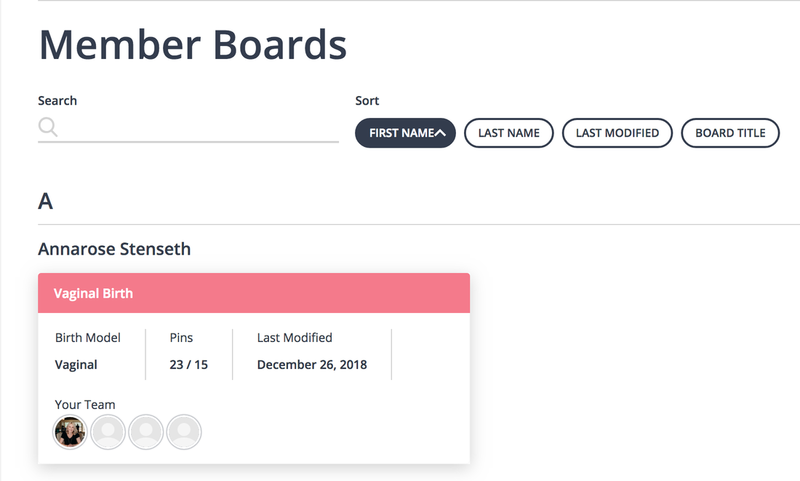 Motherboards are a bright, fun, collaborative way to create and share your preferences (like a birth plan, but better). I'm happy to answer any questions along the way as you create yours! Thanks for trusting us to walk along this journey with you! Are you a NOVA Birth Partners client or partner client?